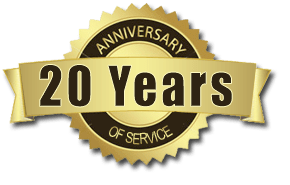 TISA Description of the Problem: When preparing last month’s clinical interviewing Tip of the Month, regarding the importance of eliciting the dangerousness of past suicide attempts, I was reminded of a tip from 2009, that is worth repeating. In repeating this excellent tip, I have also expanded on the concept of “reflected intent” and added a new tip from my own experiences. I hope you find these additions to be of practical use. It is always critical to ask directly about a client’s suicidal intent. It is also critical to remember that what a client directly states about his or her intent is not necessarily the truth. Other factors such as unconscious defense mechanisms, as well as conscious issues such as concern about the consequences of relaying ones intent and worries about stigma, may hide the truth. 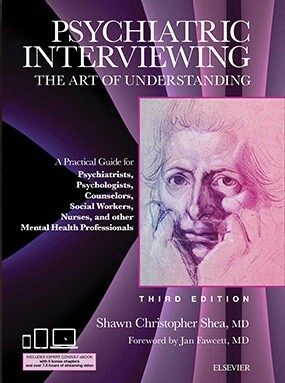 A careful exploration of the extent of the client’s actions, planning, and thinking surrounding a suicide attempt, or regarding a potential future attempt, may provide a more accurate reflection of the patient’s real intent, a concept I like to call “reflected intent.” As we have found in the theory behind motivational interviewing, the extent that one has thought about a given course of action, reviewed various methods to proceed with a course of action, and made concrete plans to do the course of action may be a better indication of actual intent to act than what a person claims their intent may be. This may be true when the planned action is difficult to do but beneficial (substance abuse counseling) or when it is difficult to do but damaging (suicide). The following perceptive clinical interviewing tip was provided by Kim Vindler, LCSW, a participant in a set of workshops I gave at the Bryn Mawr College School of Social Work. It nicely demonstrates a sophisticated way of helping a client to share his or her actual intent, potentially shorn of defense mechanisms and other distorting obstacles. TISA Follow-up: The above tip proffered by Kim Vindler is both a valuable tip for clinical practice and to relay when teaching clinical interviewing. Another powerful question along the same lines, that can better delineate reflected intent is, “How many pills were left in the bottle?”? Clearly a person who has taken all the pills available may have a more serious intent to die than someone who left many pills in the bottle, even though both clients actually took the exact same number of pills. Perhaps one of the most important points to remember when doing a suicide assessment is the simple fact that just because a clinician asks directly about suicide, it does not mean that the client will provide a direct or truthful answer. In fact, the clients who are in the most pain and closest to attempting suicide may be the exact clients who are hesitant to share the full extent of their planning when first asked. Most importantly, these highly dangerous clients will often be quite careful about sharing their method of choice, such as a gun, for they will be worried that their method of choice (and their perceived only method of relieving their pain) will be taken from them by the clinician and family. Such clients when asked directly about suicide, may first relay methods (and even mild attempts) that were performed with other methods than the one currently viewed as their method of choice. Only a careful and delicate subsequent exploration for other methods may result in the client sharing his or her method of choice. Stigma also makes many clients hesitant to share openly when first asked directly about suicide. Shea, S. C.: The interpersonal art of suicide assessment: interviewing techniques for uncovering suicidal intent, ideation, and actions. From The American Psychiatric Publishing Textbook of Suicide Assessment and Management, 2nd Edition. Edited by Robert I. Simon and Robert E. Hales. American Psychiatric Publishing, Washington, DC, 2012. You may also find information on reflected intent and the Equation of Suicidal Intent in an article I wrote for the Psychiatric Times that you can find as a pdf on our home page:(www.suicideassessment.com/pdfs/PsychiatricTimesArticleparts1-2PDF.pdf) Go to the far-right sidebar on the homepage and click the fourth link down entitled “2-part article on Uncovering Suicidal Intent and the CASE Approach.”?